•Prioritize the jobs, wages and security of the American people. •Establish new immigration controls to boost wages and to ensure that open jobs are offered to American workers first. •Select immigrants based on their likelihood of success in the U.S. and their ability to be financially self-sufficient. •Vet applicants to ensure they support America's values, institutions and people, and temporarily suspend immigration from regions that export terrorism and where safe vetting cannot presently be ensured. •Enforce the immigration laws of the United States and restore the Constitutional rule of law upon which America's prosperity and security depend. 3. Move criminal aliens out day one, in joint operations with local, state, and federal law enforcement. We will terminate the Obama administration's deadly, non-enforcement policies that allow thousands of criminal aliens to freely roam our streets. 5. 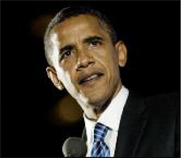 Immediately terminate President Obama's two illegal executive amnesties. All immigration laws will be enforced - we will triple the number of ICE agents. Anyone who enters the U.S. illegally is subject to deportation. That is what it means to have laws and to have a country. •Since 2013 alone, the Obama Administration has allowed 300,000 criminal aliens to return back into U.S. communities. What Hillary Clinton Can Do To Show that Immigrant Families Matter. Bill Clinton dealt a major setback to rational immigration policy in 1996 when he signed the Illegal Immigration Reform and Immigrant Responsibility Act for the first time in history adopting "bars" that would block millions of immigrants from legalizing their status even though they qualified for immigrant visas through their U.S. citizen or lawful resident spouses, parents or children. This law now accounts for about two million undocumented immigrants living in the U.S. with Government-issued "approved" visa petitions, but unable to legalize their status. Hillary Clinton could endorse an easy solution to legalize these immigrants with no change in existing law. In 1996 President Clinton signed into law several new bars to legalization for those previously eligible to get permanent resident status. One of the bars states that any immigrant who entered the country without inspection and has been present without lawful status for twelve months or longer faces a ten-year bar. These immigrants must go home for ten years before they can get a green card. Since 1996, millions of immigrants who entered the country without inspection became eligible for permanent resident status through marriages to U.S. citizens or their U.S. citizen parents or other close family members. Their family members applied for family-based visas and the Government approved these petitions. By entering the visa system, these immigrants have played by the rules. DHS knows exactly who they are, where they live and when and where they were born. From time to time these immigrants travel to their home countries to visit family or for other legitimate reasons. Under long-standing Government policy, a small number are given permission to leave the U.S. and return with inspection if they can document a family emergency such as the death of an immediate family member. They are given "advance parole" -- authorization to travel so that the Government knows when they leave and when they return. The vast majority of immigrants with approved visa petitions do not qualify for advance parole because they don't have a dire family emergency in their home countries. They just want to visit family or travel for other lawful purposes. They depart and return without inspection, diverting the limited resources of the U.S. Border Patrol. The 1996 rule not only encourages unlawful reentries after immigrants briefly visit their countries of birth, it has caused the undocumented population to mushroom in size because remaining with their families is more important to the vast majority of immigrants than going home for ten years to get a green card. 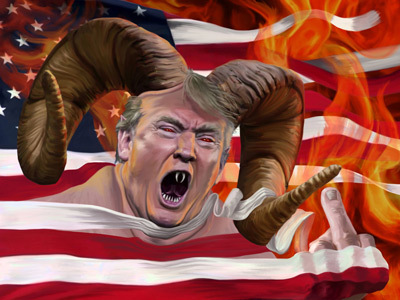 Family values trump administrative visa rules. Every year since 1996 the Government has approved thousands of visas for immigrants who cannot legalize their status because they face the ten-year bar. Hillary Clinton, or whoever wins the White House, can direct the Department of Homeland Security to allow immigrants with approved visa petitions to travel to visit their families or for any other lawful purposes. This would be smart border enforcement as no one benefits when these immigrants travel and return illegally. The Government should want to know when immigrants in its system are leaving and returning to the country. By allowing these immigrants to briefly travel abroad and be inspected upon return, they become eligible to adjust their status in the U.S. because now their most recent entry was with inspection. Many of these immigrants could become lawful residents within months after returning from brief trips with inspection. The benefits to the country are clear. We would quickly and without cost reduce the undocumented population by ten to twenty percent. We would allow those with by far the greatest equities to emerge from the underground and integrate into the fabric of their communities. These immigrants would start working legally instead of illegally. This policy would also show that immigrant families matter. The 1996 bars President Clinton signed serve as a visa death penalty for immigrants whose only offense years ago was to flee violence or crushing poverty in order to secure their safety or provide for their families. Hillary Clinton should commit that if elected she'll allow immigrants with approved visa petitions to briefly travel and return with inspection. This would be smart border enforcement and a blessing to a couple of million families now living in fear that any day their parents, spouses or children may be detected and deported because of a law her husband signed twenty years ago not appreciating either the role it would play in expanding the undocumented population or the long-term suffering it would cause. President of the Center for Human Rights and Constitutional Law, Los Angeles, CA. Class Counsel in several federal class action cases involving the legalization of immigrants; assisted Congress in drafting bi-partisan legalization laws enacted in 1986 (IRCA) and 2000 (LIFE Act). WASHINGTON — November 20, 2014 (Whitehouse.gov) In an address to the nation, President Obama lays out the executive action he's taking to fix our nation's broken immigration system. THE PRESIDENT: My fellow Americans, tonight, I'd like to talk with you about immigration. For more than 200 years, our tradition of welcoming immigrants from around the world has given us a tremendous advantage over other nations. It's kept us youthful, dynamic, and entrepreneurial. It has shaped our character as a people with limitless possibilities — people not trapped by our past, but able to remake ourselves as we choose. Meanwhile, I worked with Congress on a comprehensive fix, and last year, 68 Democrats, Republicans, and independents came together to pass a bipartisan bill in the Senate. It wasn't perfect. It was a compromise. But it reflected common sense. It would have doubled the number of border patrol agents while giving undocumented immigrants a pathway to citizenship if they paid a fine, started paying their taxes, and went to the back of the line. And independent experts said that it would help grow our economy and shrink our deficits. Now, I continue to believe that the best way to solve this problem is by working together to pass that kind of common sense law. But until that happens, there are actions I have the legal authority to take as President — the same kinds of actions taken by Democratic and Republican presidents before me -– that will help make our immigration system more fair and more just. Second, I'll make it easier and faster for high-skilled immigrants, graduates, and entrepreneurs to stay and contribute to our economy, as so many business leaders have proposed. I want to say more about this third issue, because it generates the most passion and controversy. Even as we are a nation of immigrants, we're also a nation of laws. Undocumented workers broke our immigration laws, and I believe that they must be held accountable -– especially those who may be dangerous. That's why, over the past six years, deportations of criminals are up 80 percent. And that's why we're going to keep focusing enforcement resources on actual threats to our security. Felons, not families. Criminals, not children. Gang members, not a mom who's working hard to provide for her kids. We'll prioritize, just like law enforcement does every day. But even as we focus on deporting criminals, the fact is, millions of immigrants in every state, of every race and nationality still live here illegally. And let's be honest -– tracking down, rounding up, and deporting millions of people isn't realistic. Anyone who suggests otherwise isn't being straight with you. It's also not who we are as Americans. After all, most of these immigrants have been here a long time. They work hard, often in tough, low-paying jobs. They support their families. They worship at our churches. Many of their kids are American-born or spent most of their lives here, and their hopes, dreams, and patriotism are just like ours. As my predecessor, President Bush, once put it: "They are a part of American life." Now here's the thing: We expect people who live in this country to play by the rules. We expect that those who cut the line will not be unfairly rewarded. So we're going to offer the following deal: If you've been in America for more than five years; if you have children who are American citizens or legal residents; if you register, pass a criminal background check, and you're willing to pay your fair share of taxes — you'll be able to apply to stay in this country temporarily without fear of deportation. You can come out of the shadows and get right with the law. That's what this deal is. Now, let's be clear about what it isn't. This deal does not apply to anyone who has come to this country recently. It does not apply to anyone who might come to America illegally in the future. It does not grant citizenship, or the right to stay here permanently, or offer the same benefits that citizens receive -– only Congress can do that. All we're saying is we're not going to deport you. I know some of the critics of this action call it amnesty. Well, it's not. Amnesty is the immigration system we have today -– millions of people who live here without paying their taxes or playing by the rules while politicians use the issue to scare people and whip up votes at election time. That's the real amnesty — leaving this broken system the way it is. Mass amnesty would be unfair. Mass deportation would be both impossible and contrary to our character. What I'm describing is accountability — a common-sense, middle-ground approach: If you meet the criteria, you can come out of the shadows and get right with the law. If you're a criminal, you'll be deported. If you plan to enter the U.S. illegally, your chances of getting caught and sent back just went up. I want to work with both parties to pass a more permanent legislative solution. And the day I sign that bill into law, the actions I take will no longer be necessary. Meanwhile, don't let a disagreement over a single issue be a dealbreaker on every issue. That's not how our democracy works, and Congress certainly shouldn't shut down our government again just because we disagree on this. Americans are tired of gridlock. What our country needs from us right now is a common purpose — a higher purpose. These people — our neighbors, our classmates, our friends — they did not come here in search of a free ride or an easy life. They came to work, and study, and serve in our military, and above all, contribute to America's success. Tomorrow, I'll travel to Las Vegas and meet with some of these students, including a young woman named Astrid Silva. Astrid was brought to America when she was four years old. Her only possessions were a cross, her doll, and the frilly dress she had on. When she started school, she didn't speak any English. She caught up to other kids by reading newspapers and watching PBS, and she became a good student. Her father worked in landscaping. Her mom cleaned other people's homes. They wouldn't let Astrid apply to a technology magnet school, not because they didn't love her, but because they were afraid the paperwork would out her as an undocumented immigrant — so she applied behind their back and got in. Still, she mostly lived in the shadows — until her grandmother, who visited every year from Mexico, passed away, and she couldn't travel to the funeral without risk of being found out and deported. It was around that time she decided to begin advocating for herself and others like her, and today, Astrid Silva is a college student working on her third degree. The Senate Judiciary Committee voted with a strong bipartisan majority on Tuesday May 2013 to advance comprehensive immigration legislation that would put 11 million illegal immigrants on a path to citizenship. The legislation raises caps on high-skilled workers and creates a new visa program for low-skilled workers. It would allocate billions of dollars to securing the southwestern border and tracking visas at airports and seaports around the country. It would make E-Verify mandatory for employers across the country in order to crack down on illegal workers and deter future waves of illegal immigration. The legislation passed by a vote of 13 to 5 with three Republicans joining 10 Democrats to approve the measure. Senate Majority Leader Harry Reid (D-Nev.) has said it will come to the floor next month. The three Republicans voting "yes" were Sens. Lindsey Graham (S.C.) and Jeff Flake (Ariz.), who are members of the Gang of Eight, which crafted the bill, and Sen. Orrin Hatch (Utah). Text of S.744 as introduced on 4/16/13. Do not include amendments. On May 29, 2013, the Senate Judiciary committee release an updated version of the "Border Security, Economic Opportunity, and Immigration Modernization Act" that reflects the amendments that were passed during the committee mark-up. For a copy, click here. For a free consultation on Comprehensive Immigration Reform courtesy the Law Office of Figeroux & Associates, click here. The Immigrant’s Journal Legal and Educational Fund, Inc., news section. In our Journal’s monthly publication we focus on updating old and new immigrants to the United States, on immigration issues such as: How to Get A Green Card, Citizenship, Deportation Issues, Settling in the United States, Political Asylum and Refugee Issues. Other important issues we focus on are: Immigration Fraud Prevention, Identity Theft, Purchasing a Home, Civil Rights Issues, Staring a Business and other issues all Americans are concerned about. Please take some time to review our informative publication, the Immigrant’s Journal. Additionally, by advertising or donating towards the publication your contribution will help with the production and distribution costs. Our publication is a free publication, but there are costs equated with production, and distribution. The Immigrant’s Journal is a publication of I.Q., Inc., who publish this publication basically for free. 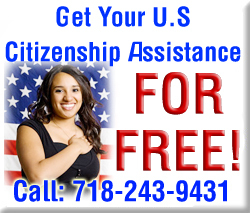 The Law Office of Figeroux & Associates is an avid supporter of this publication and the Journal’s Free Citizenship Assistance Drive. Our publication is distributed to thousands of readers on the streets, though subway station distribution, and on the newsstands of small businesses throughout the immigrant diaspora. Additionally, we have now made the publication available on our website. Again, the Immigrant’s Journal is designed and edited to provide a balanced selection of the top stories relevant to our readers, as well as editorial commentary on legal issues, life lessons, sports, beauty, health and wellness, and business news. 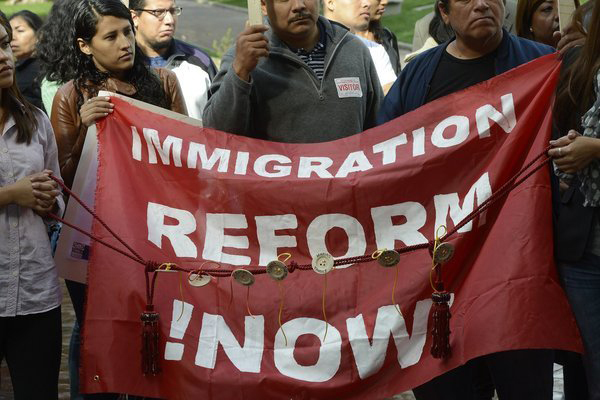 Comprehensive Immigration Reform (CIR) is considered a hot button issue for law makers in Washington. 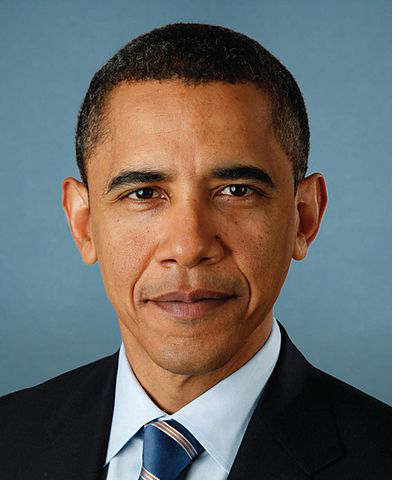 However, the overwhelming support given to President Barack Obama and the Democratic Party by immigrant voters at the 2012 general elections has re-energized the conversation on the urgency of passing legislation to legalize the some 11.5 million undocumented aliens living in the United States. Since the elections, statisticians, pollsters and political pundits have attributed the return of President Obama to the White House due to the 70% of Latino voters across the country. In fact, the Republicans who showed little interest and openly denounced efforts to legalize undocumented aliens prior to the elections, have since shifted position on the issue and are now in some instances leading the debate for immigration reform. Top Republican legislators such as John Boehner, John McCain, Eric Cantor and Lindsay Graham are among those calling for immediate action on an immigration overhaul. Well the president has certainly set the stage for Comprehensive Immigration Reform and here are ten reasons why it should be done with utmost urgency. 2. A Stronger and Reliable Legalized workforce: A number of farming states can now hire workers without fear of them being rounded up by immigration authorities. The recent enforcement of stringent immigration policies by some states resulted in huge financial losses to farmers because their largely illegal workforce were forced into hiding and could not work due to the draconian immigration policies. 3. Increased Tax Payments to the State and Federal Treasury: Since the immigrant workforce in farming, childcare, construction and to some extent, hotel and restaurant industries would gain legal status, more taxes are expected to be paid. This development will augur well for the financial gains for both federal and states treasuries. 4. A Stable Family Environment-Decrease in Foster Care Issues: The current situation regarding the deportation of parents, whose children are American citizens, puts a strain on the foster care system. Many children of these undocumented deported or incarcerated parents are placed in foster care. With the legalizing of the status of these parents, those children will be privileged to enjoy a stable family environment, and in some instances reunite with their parents who have been placed on the deportation roster. 5. Financial Benefit to Insurance Companies and Healthcare Providers: Once the undocumented are legalized, they will require health care and coverage to cater to their health needs. This will contribute significantly to the insurance coffers and the various health care providers and facilities. 6. Entrepreneurial Advancement and Job Growth: Many undocumented immigrants are capable entrepreneurs. Once the opportunity is made available through immigration reform, they will pursue their dreams of setting up businesses which will eventually provide jobs to thousands. Their businesses will also contribute to the economic advancement of the state and the country in general. 7. 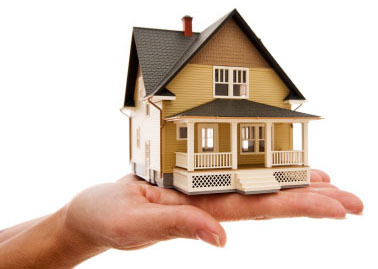 Housing Development: Many of the 11.5 million undocumented immigrants are currently sharing apartments. Once they receive legal status, they will seek independence and will either rent their own apartments or purchase their own homes. This will certainly boost the housing slump that currently plagues the country. This will also contribute to the financial services industry and the insurance companies. 8. Political Benefits: If the consensus reached regarding the impact of immigrants votes on the 2012 general elections results are true, then politicians at the presidential level, Congress, the Senate and the state level stand to benefit from Comprehensive Immigration Reform. At the state level, politicians can campaign on the strength of the immigrant demographic found in their districts, while at the federal level, proper representation of the immigrant community can determine the outcome of the presidency, the Senate or the Congress. 9. A More Educated Workforce: Some 2.1 million undocumented young people are accessing the school system and graduating with honors in their respective fields of study. Once they are legalized, they will significantly contribute to the labor market. Many will become entrepreneurs, while others will staff the various health, agricultural, industrial, education and military institutions. 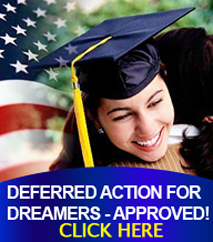 In addition, many of the undocumented are academically qualified in various fields. They will utilize these skills once they are made legitimate citizens and permanent residents of this country. 10. 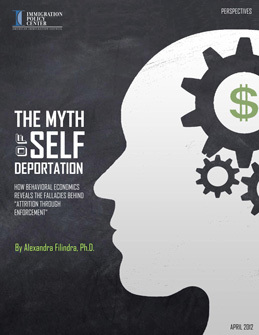 Release of Financial Burden on Both the Local and Federal Government: Research by the Federation for American Immigration Reform conducted in 2010/2011 revealed that illegal immigrants cost taxpayers some $113 billion annually. According to the report, $84 billion of this burden falls on the state, while $29 billion affects the federal coffers. The bulk of this is spent on education for undocumented children. Once CIR legislation is in place, this huge financial burden will be lifted. Having looked at these ten reasons for immediate action on Comprehensive Immigration Reform, the onus is now on lawmakers to act. It is likely that the issue will receive early attention in the new Congress as many Republicans--over 20 of their prominent leaders-- are championing the cause. President Obama is committed to making CIR a reality: “my expectation is that we get a bill introduced and we begin the process in Congress very soon after my inauguration." Cite as "AILA InfoNet Doc. No. 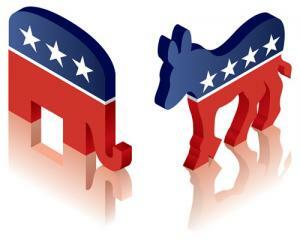 12090541 (posted Sep. 5, 2012)"
In the past two weeks the Republican and Democratic Parties have released their official 2012 Party Platforms. Here we’ve compiled the major points of each Party’s platform that relate to immigration. Supports the rule of law and opposes any form of amnesty. Supports “humane procedures to encourage illegal immigrants” to leave the U.S. Supports increased enforcement against overstays. Opposes the current administration’s 2012 policy of granting deferred action to certain individuals who came to the U.S. as children. -Supports tougher penalties for ID theft, human trafficking and for those who deal in fraudulent documents. -Supports long-term detention of those who cannot be deported to their country of nationality. -Supports use of the 287(g) cooperation agreements with states and localities. Opposes the Obama administration’s “assaults on state governments” on immigration. Opposes the ongoing Department of Justice litigation against state immigration laws. Calls for denying federal funding to “sanctuary cities” and to universities that offer in-state tuition rates to illegal immigrants. -Supports making E-verify mandatory nationwide. Supports state immigration enforcement efforts in the workplace. -Supports making the SAVE program mandatory. 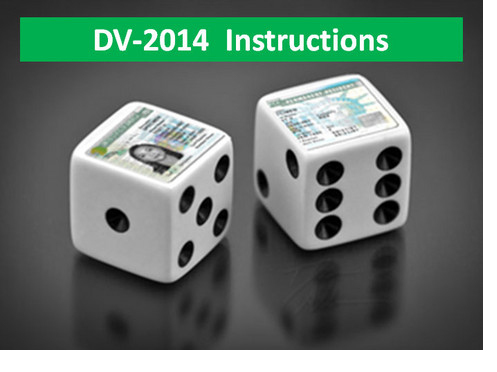 SAVE verifies the lawful presence of applicants for State or federal government entitlements or IRS refunds. Calls for English as the nation’s official language. -Supports granting more visas to holders of advanced degrees in science technology, engineering and math fields. Willing to consider a guest worker program to meet labor needs. -Supports comprehensive immigration reform with the following components: bring undocumented immigrants out of the shadows and require them to get right with the law, learn English, and pay taxes in order to get on a path to earn citizenship; and create a system for allocating visas that meets the nation’s economic needs, keeps families together, and enforces the law. -Supports the DREAM Act and continuing to provide deferred action to undocumented people who came to the U.S. as children. Plans to hold employers accountable for whom they hire. Prioritizes enforcement against criminals who endanger communities instead of immigrants who do not pose a safety threat. -Supports family reunification as a priority. Supports the current administration’s streamlining of the process of legal immigration for immediate relatives of U.S. citizens and the enhanced opportunities for English-language learning and immigrant integration. -Supports continued litigation to oppose state enforcement laws that interfere with federal immigration law. -Supports inclusion of lesbian, gay bisexual, transgender relationships in the definition of family in immigration policy to protect bi-national families threatened with deportation. Asserts that the southwest border is more secure than at any time in the past twenty years, unlawful crossings are at a 40-year low, and that the Border Patrol is better staffed than at any time in its history. The Immigrant's Journal Legal & Educational Fund, Inc., (IJLEF) applauds the President's announcement offering Deferred Action to eligible younger immigrants. This action will change the lives of young people who call America home, but who have been unable to live free from the fear of deportation to a country they may not even remember. "Both sides of the aisle in Congress are discussing solutions for this highly deserving group. By using its legal authority to provide temporary protection from the threat of deportation and enable these young people to actively and openly contribute to our society and economy, the Administration is addressing an issue that has broad bipartisan support," IJLEF Executive Director Diandra Archibald said, on Welcome to America, Diaspora Radio. 620am. "This represents a triumph of reason over rhetoric and good moral judgment over immoral indifference," Ms. Archibald continued. "However, it does not offer a permanent fix for these young people. This announcement creates space for Congress to truly take on this issue and find the desperately needed solutions to our broken immigration system. It also gives Presidential candidate Romney an opportunity to change his approach to CIR, i.e., self deportation"
Did you know that most people help Immigration Customs Enforcement (ICE) detain them by being uninformed? Often enough, when Immigration officers make an arrest at a person’s home, they are only able to do so as a result of questioning, which gives them the information needed to then make the arrest. The following are helpful tidbits to keep you out of, and away from, your “local” detention center. 1. If an immigration officer knocks on your door: DON’T ANSWER. 2. If an immigration officer knocks on your door: ASK FOR IDENTIFICATION. Officers tend to say that they are the police; ask them to be specific--“what agency are you with?” If they say INS, UCSIS, or ICE, you may deny entrance. 3. DON’T OPEN THE DOOR, NO MATTER WHAT. 4. Immigration may NOT enter your home unless they have a “warrant.” A warrant is a document issued by a court or government agency. Ask the official to show you an arrest or search warrant, but they must pass it under the closed door. If the warrant does not fit under the door, open the door only wide enough to pick up the warrant, explaining that you are not allowing Immigration to enter your house until you have read the warrant. 5. If the Warrant has your name but looks Invalid, return it under the door and say that it is incorrect and that you will not open the door or answer any questions. 6. If the Warrant is Valid with a signature from ICE and your name and address, do not allow Immigration into your home, but go outside. This is especially important if you live with other people who may have Immigration problems. 7. Don’t Answer Questions. Give your real name, but do not answer any other questions and do not sign any papers. Tell the officer you will not answer any questions until you speak to an attorney. The future for undocumented immigrants living here in the United States continues to look bleak despite new measures and initiatives that have been announced over the last two years by the Obama administration. On June 17, 2011, the administration presented a ray of hope for those immigrants facing deportation by introducing the prosecutorial discretion measure; on May 11, 2011, the administration reintroduced the DREAM Act bill that would enable children of undocumented parents to have a path to legal status; nonetheless, the consequences of being undocumented or out of status remain a brutally painful experience. However, there is hope for many immigrants who are law abiding, but, who face issues that are problematic with the U.S. immigration system. The good news is that there are immigrant advocacy groups providing services that are instrumental in helping to resolve many of the problems immigrants experience when seeking a change of status, or delays in cases already submitted to the United States Citizenship and Immigration Services office. One such organization is The Immigrant's Journal Legal & Educational Fund Inc. (IJLEF), whose modus operandus is to respond to the needs of the immigrant communities; this not- for- profit organization was established in 1998 by Brian Figeroux, Esq., and publishes The Immigrant's Journal which is distributed free of charge throughout the five boroughs. According to Senior Editor Collin Moore, "we offer advice to immigrants, especially in terms of processing their applications for permanent resident status and for citizenship; very often what we do is advocate on their behalf to elected officials to speed up the processing of their petitions." According to Mr. Moore, a number of immigrants are being taken advantage of because they are out of status. "We have a good relationship with certain congressional people in our area, for example, Congresswoman Yvette Clarke. An individual may be married to an American citizen or a green card holder and they sent in a petition a year ago, and they haven't heard anything from the processing center, so they don't know whether their petition went astray or it was rejected. Very often they come to us and we would call the congressional office on their behalf. That congressional office would then get in contact with the processing center and in a couple of days the individual would be informed as to the precise reason for the delay, or to hear the status of their petition." He added: "If an individual comes to our office we evaluate their claims, they tell us exactly what the situation is, then we are able to call the congressional office and say 'look, we have a particular individual here who has a particular problem. There is a delay in their petition; could you deal with this matter?'" The IJLEF serves as facilitator, advocate and educator to the immigrant community and so far has been instrumental in aiding in the passage of legislation for the temporary relief for the Haitian community after the devastating earthquake the country suffered in 2010, and in providing a path to gubernatorial pardon for immigrants irrespective of which country they are from. Elaborating on the success of IJLEF, Mr. Moore said that two years ago they approached then governor David Patterson regarding the use of his executive clemency powers. He noted: "we had proposed that they set up a pardon board that would grant pardons. The governor has what is called executive clemency each year and just around the end of the year he can name individuals who could be pardoned. We suggested to him that it would be a good idea if he could exercise his executive clemency to pardon immigrants who are facing deportation but who have manifested certain substantial signs of rehabilitation in their lives and he was able to pardon about 20 people; it was unprecedented. It was the first time in New York State history that executive clemency had been exercised on behalf of a particular class of immigrants." IJLEF does outreach in various communities and sponsors seminars educating immigrants on the various procedures that can be followed when seeking to have their status either changed or updated. Mr. Moore also indicated that the organization holds meetings or goes directly into the communities to talk with the immigrants "to try to get their feedback as to the problems they are experiencing and what they would like to see incorporated in a new immigration bill and then we look at it and make suggestions to the congressional and sometimes state representatives." The Immigrant Journal Legal & Educational Fund is actively working to build a stronger relationship with the immigrant community. The organization is appealing to both legal immigrants whether permanent residents or naturalized U.S. citizens, as well as to undocumented immigrants to take advantage of its free services. Those services include providing ID cards to be used here in the U.S., legal representation on divorce from abusive relationships, deportation hearings and all immigration matters, along with providing access to congressional assistance where needed. Currently, the organization is reaching out to ministers and leaders of our communities to become members. While it might not be feasible to meet the needs of the more than eleven million illegal immigrants living in the United States, it can certainly do its best to help those who are willing to visit our office. 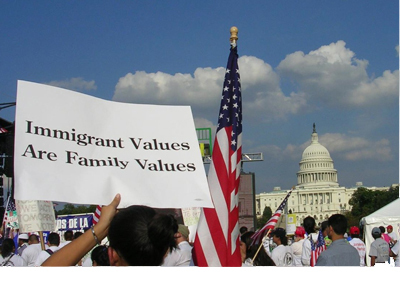 Comprehensive immigration reform is one of the most pressing problems for the United States. This is expected to be a key issue for Congress in 2010. 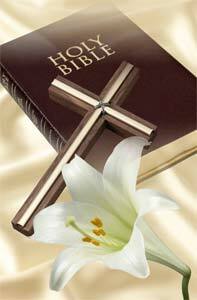 Many faith-based organizations are motivated by the Bible in advocating for reform. To counter this, the restrictionists have tried to preempt, issuing a report that purports to prove that the Bible justifies a harsh stance on immigration. Building on an article we wrote in 1998, in a new article published on January 1, 2010 in Bender's Immigration Bulletin, we debunk the restrictionist argument and show that the Bible actually does support a generous attitude towards immigrants and immigration. Indeed, it mandates such a view.